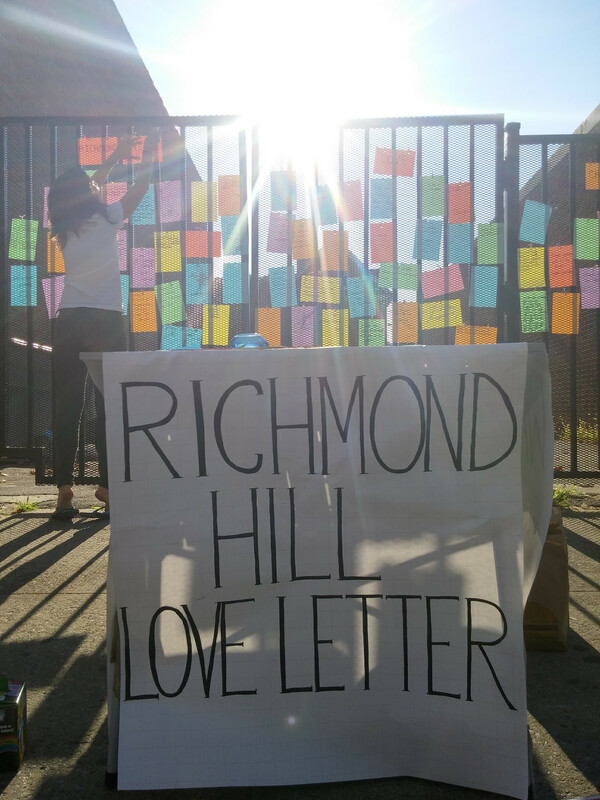 This page has information about the first Richmond Hill Love Letter program in September 2015. Read about 2016 Richmond Hill Love Letter programs HERE. Take the Lefferts-bound A train to the last stop, and find us stationed in front of the Lefferts Library, swapping local stories and inviting passerby to collaboratively compose an unconventional love letter to the neighborhood. Join the conversation, share your neighborhood memories and hopes for the future, and celebrate all there is to love about Richmond Hill. Five Boro Story Project Creator Bridget Bartolini’s deep-rooted history in South Richmond Hill was a big inspiration for starting place-based community storytelling programs, and she’s very excited to be sharing her love for her hometown with our first Richmond Hill storytelling program! This small project will lead to more Richmond Hill storytelling programs in 2016, so please stay tuned. This event is part of the 2015 Queens Art Intervention, and is made possible with funds from RPGA Studio. Taking place the weekend of Sept 19th-20th, Queens Art Intervention is a weekend of artistic interventions in communities across Queens that is meant to educate, inspire, and empower. 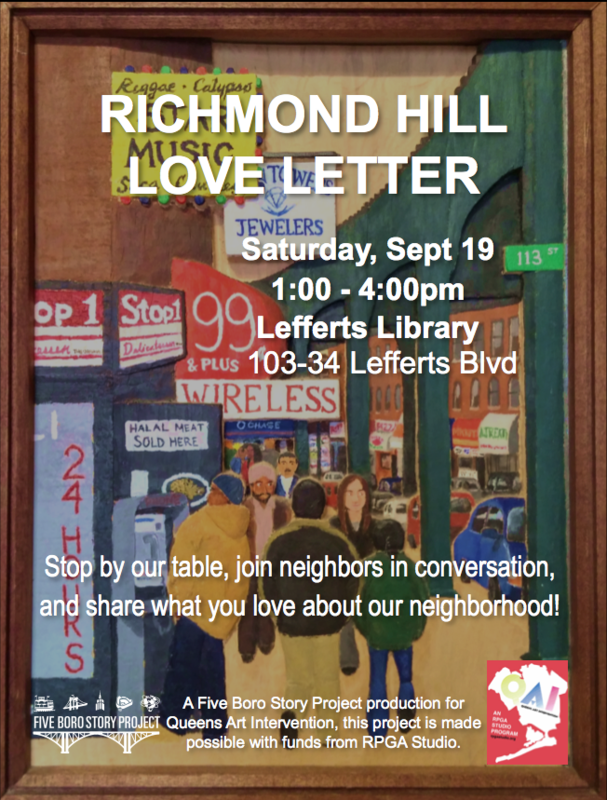 View photos from the Sept 19 Richmond Hill Love Letter HERE.